This resource is intended to be an easy companion to the book My Mouth Is a Volcano by Julia Cook. 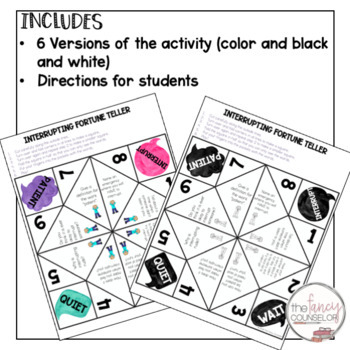 It is a fortune teller craftivity with discussion/comprehension questions to use with your students after reading the story. 1.Make a sample ahead of time. 2.Tell children to cut out and fold as neatly as possible on the lines. 3.Read through directions with students first. Then demonstrate how to use. You will need to help your students cut and assemble. 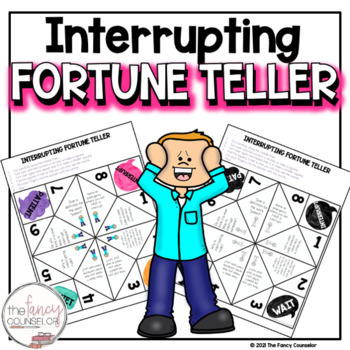 Have children take the fortune tellers home and share questions and answers with parents as a homework activity or follow up.